Alpacas and llamas are truly fascinating creatures. Once you’ve met one, you’ll be totally enthralled by them and want to take them home with you. As most of us don’t have enough room for an alpaca, adopting one is the next best thing. 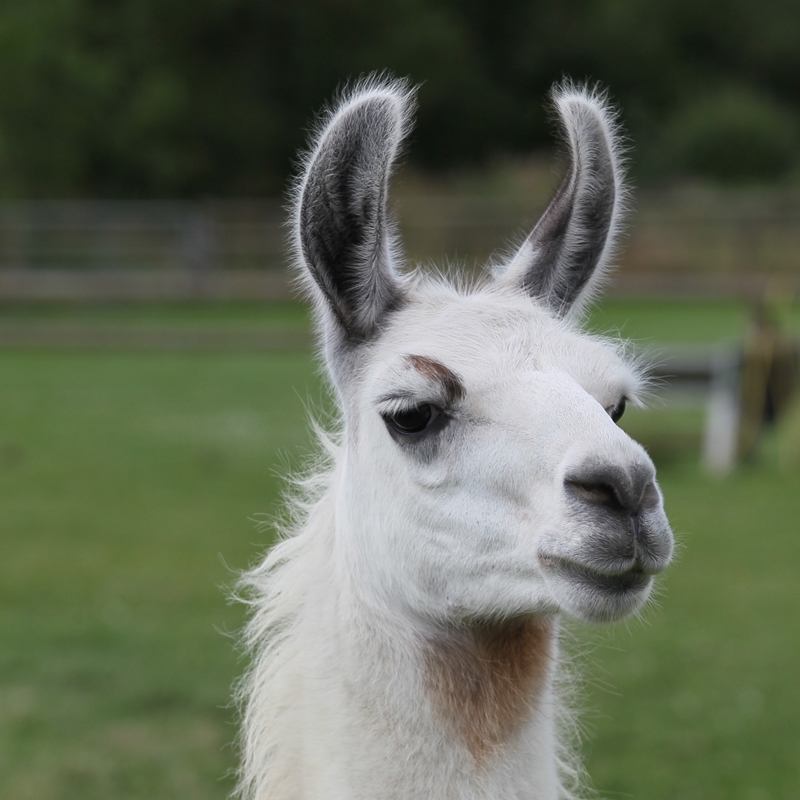 The gift of an Alpaca or Llama Adoption is perfect for animal lovers of all ages who would like to share in the farm lifestyle without the responsibilities of ownership! Friendly, well handled and trained pet boys, breeding females and starter herds available. Please call to make an appointment to view. 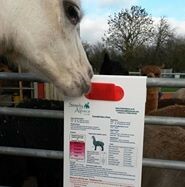 Handling and husbandry course based on Camelidynamic principles for all buyers together wlth full post sales support. So you've bought your pack, here are the answers to a few frequently asked questions. Does that mean you own the alpaca? Bramble is one of our breeding females and she is 4. She is a rich medium brown and a very confident lady, happy to be part of our regular walking team when she doesn't have a baby. Elisa is a classic medium brown with quiet a feisty nature. She likes to be in control, but when we follow all the rules about proper handling ie. doing it the Camelidynamics way, she is happy to oblige. Amelia is our youngest little lady at just one and that all important half. She is all black with a show winning Daddy who has passed on to her a stunningly soft and dense fleece. He's passed on his cheeky character too! Joy was named after Victoria's mum and she is a joy to have around. She is 7 years old and has had one cria in her life. She is a gentle unassuming sort of a girl until you have food about. Anna is a rare creature and I don't know which category she should be in....as she is half alpaca and half llama...maybe both! She came about as a result of a gate open accident when we were away. 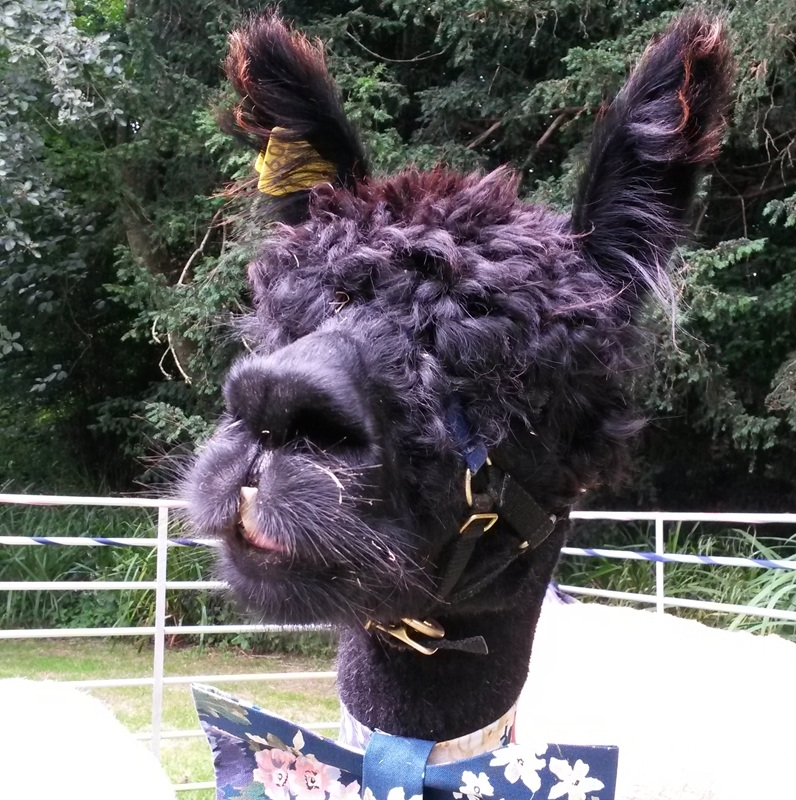 But the result is a very self assured, slightly larger "alpacallama". Eddie is a very colourful character! He came to us with behaviour issues, some habits he still retains -like spitting apparently for fun. That said he is that loveable rascal who is always into mischief and never fails to make you smile. Alan is another of our pet boys not born with us. He is a beautiful bay black with a huge character. My nickname for him is "Snake"...that neck of his will go anywhere to get into the food bucket no matter how hard you try to twist out of his way. Blizzard was so named as his mum was Snowfall who is sadly no longer with us. He is one of our white pet boys with a lovely gentle nature who is always willing to go for a walk. Jim Bob is a warm honey colour with big, beautiful eyes that you could just fall into. He was our very first baby born here 9 years ago, so he is a very special boy to us. Complete your adoption form here. Dear little Monty is not quite three and was a birthday present as we have been unable to breed a grey as yet. He is a quiet little chap but very amenable and growing in confidence with our style of handling. Sebastian is a tall, imposing looking chap but is really as soft as soap, happy to give you llama kisses and to be groomed. Crusader is one of our stud males and is responsible for a number of cria on the farm. He is a huge character, at the front of the crowd, full of himself - as a good stud should be but gentle and sociable with it. Magic is just that...he is one of those rare alpacas that doesn't mind (too much) having his top knot stroked. He likes being the centre of attention and for a little food treat he will love you forever.